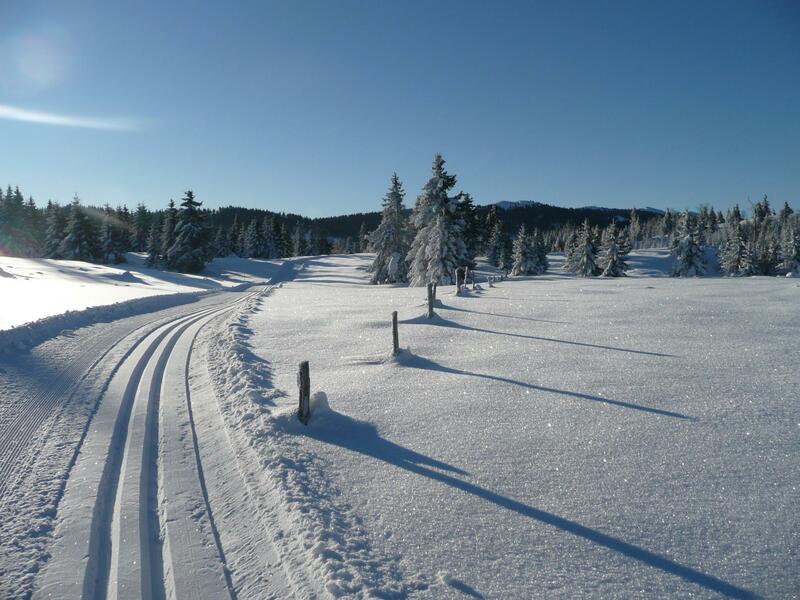 The cross-country ski trail between Marchairuz and Mollendruz is a classic in the region. This elevated route heads across the magnificent combs of the Jura to the foot of Mont-Tendre, past various mountain pasture chalets which are only in use in the summer. After taking a moment to gaze at Mont Blanc from the Hôtel-restaurant du Marchairuz, just head down towards the Vallée de Joux to Fontaine Froide to find the trail heading east to the Col du Mollendruz or west to the Col de la Givrine. 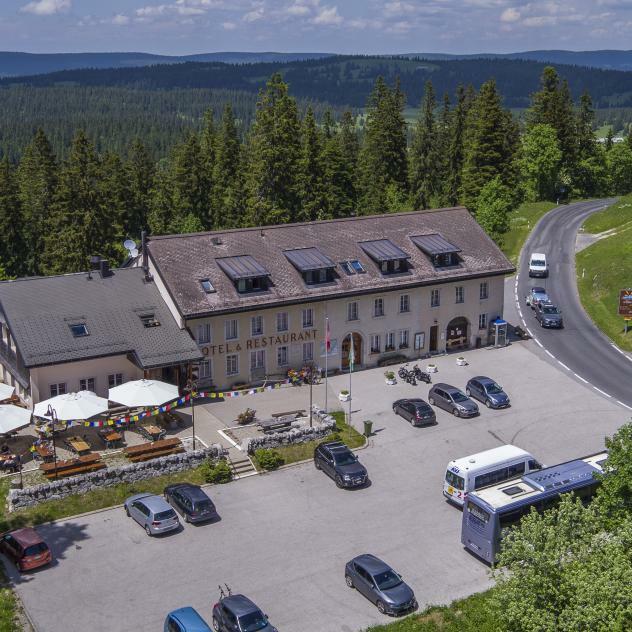 The route between Marchairuz and Mollendruz winds through the wooded pastures of the Haut-Jura and past mountain pasture chalets only occupied in the summer. It then heads across the mountain pastures of Pré de Denens and climbs towards the Chalets of Les Combes, Grands Crosets-Dessus, Croset au Boucher and Racine, arriving at Bon Accueil, a unique little mountain hut, marking the high point of the route at 1,507m. Bon Accueil is an old bus turned into a hut. It’s really worth stopping here for a picnic or just to have a look! From here, you start the long descent to Mazel, then the large combe of Pré de l’Haut. There’s just one slight climb left, then the trail heads gently back down to the Chalet du Mollendruz, popular with cross-country skiers and snowshoers in the winter. From here, it’s not far to the Col du Mollendruz; just let yourself glide over a short distance of one kilometre to get to the big car park and sports shop, Nordic Sport. This trail is marked in both directions. If you start from Col du Mollendruz, you’ll have a bigger climb!